At step 5 of scheduling your Retrospective as a creator you will need to add the team members who will participate on the retrospectives. Org Admin > This is a specific role only available on the Enterprise subscription. This user has de ability to create an Organization where several teams will fall under. This allows Org Admin users to access to the Org Overview dashboard where all the teams data is presented (this is an extra feature on this plan). This user role is only available on request. Admin > This user is the creator of the retrospective. 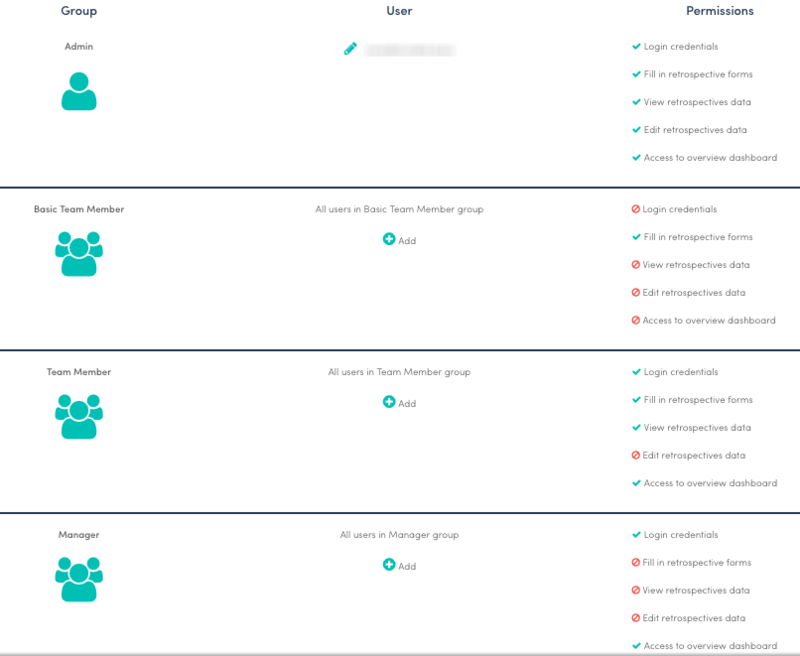 This user is able to schedule and edit retrospective forms, provide feedback, add and remove team members, create actions, create and manage your team culture and view the historic data of the team (e.g. scrum master, team lead, facilitator). Basic Team member > This user has no access to the platform. This type of user is only able to fill in retrospective forms and send voting for retrospectives. This would be someone whose feedback you value but it is not formally part of the team (e.g. stakeholder). Team member > This user has access to the platform. As well as filling in retrospective forms and voting on feedback, this user is able to login to the platform and access Retrospective data & create actions. User has also access to the team Overview page. Manager > This user has access to the platform but it is only able to view the team Overview page (e.g. release manager).